Leaks, even small, can be costly. Make sure to check all bathrooms and sinks for leaks on a regular basis. One of the significant plumbing issues that commercial buildings face is faucet leaking. A leaky faucet can lead to money wasted and in a commercial building, this can add up to a lot of money. Thousands of gallons of water can go to waste each year when a leaky faucet is not dealt with. A leak in a faucet is usually the result of a worn seal. This issue should be repaired as quickly as possible to reduce the likelihood of mold or structural damage forming. Also, be sure to have any leaks reviewed by an experienced plumber to take care of the issues. This is one you may not have heard of. A silent leak takes place when the water does not seem to be running, but water is being released. A silent leak can lead to a massive expense within your water bill month after month. Gallons of water will be wasted every year, which means that more money is spent to operate your building. To avoid a silent leak issue, have your property inspected on a regular basis, especially if the building is older. Another common issue within a commercial building is a drain or toilet clog. If a clog occurs in your building’s drain or toilet, this means that there is a backup in the line. Also, if you try to use a plunger and this doesn’t solve the issue, you will need to rely on the assistance of a plumber. If a clog is left untreated, the problem will not go away, and overflow could occur. With overflow, you run the risk of water damage. 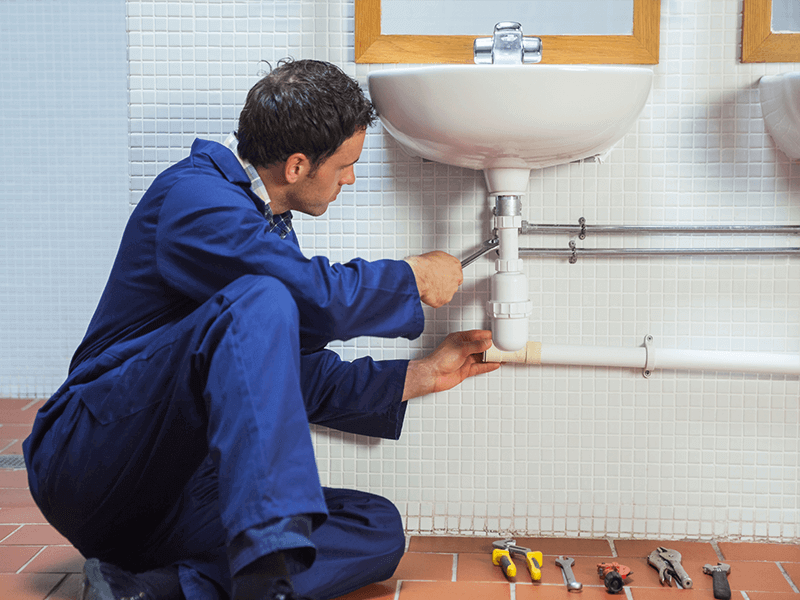 An experienced plumber can diagnose the issue and utilize tools on hand to take care of the problem. When running water within your building, do you know if the temperature is what it should be? Is hot water hot and cold water cold? Does it take too long for the hot water to become hot? Any issues with water temperature could mean that the water heater needs adjusting or a possible leak is taking place. Don’t try to fix the water heater on your own. Contact a plumber to assist you with reviewing your water heater to see if there is an issue. You may end up spending more in the long run due to a major issue if you try to handle the problem yourself. Overall, it is essential to have your commercial building reviewed by a licensed plumber on a regular basis. Overall, investing in plumbing maintenance will ensure that your building functions as it should for years to come at no additional cost to you. For more information on Severn Group’s exceptional plumbing services, click here.